With Nikon and Canon about to announce their first serious attempts at the mirrorless market, I’m curious to see what approach the two industry stalwarts take and how Sony responds. I’m hoping to add a second mirrorless camera, not because I haven’t loved my Sony A6500 but because I want to go back to using it for the purpose I bought it, to be my walk around camera and for non-wildlife use. 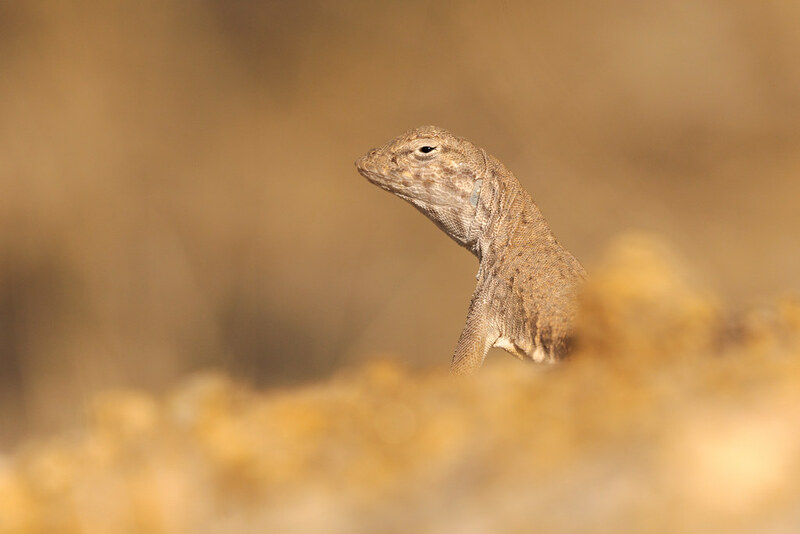 I’ve switched to using it as my wildlife camera as combined with their 100-400mm lens and 1.4x teleconverter it has proven a much better setup for capturing the denizens of the desert than my Canon, like this zebra-tailed lizard at ground level. I dislike the weight and size of my Canon so on my last hike I only brought the Sony and switched lenses throughout the morning, it made me so happy to put my beloved 24mm lens on it as I photographed desert scenes, then I switched to the telephoto when I saw a mule deer, a Harris’s hawk, a cottontail, then a black-tailed jackrabbit, and for close-ups of a saguaro, a soaptree yucca, a teddy bear cholla. I just don’t want to have to switch lenses! I don’t mind it on occasion but I’ve always preferred to have one camera for telephotos and one for wider shots, and then switch to other lenses as needed. A day will come when I can’t manage the weight of heavier lenses as I hike, it isn’t approaching but I can see it in the distance. In the meantime I try to get out as much as I can, photograph what I can, but more than anything delight in the moments as they pass, for they pass ever more quickly. I’m thankful for the handful of cameras I’ve had over the decades for the pictures taken, the memories preserved. I’m amazed at what I can do with today’s gear compared to when I started. Here’s hoping my photographic future is as rewarding as the past. This entry was posted in Reptiles and tagged Arizona, Brown's Ranch, Cholla Mountain Loop Trail, desert, lizard, McDowell Sonoran Preserve, Scottsdale, Sonoran Desert, The Amphitheater, zebra-tailed lizard. Bookmark the permalink.